Jason Hartman welcomes David Soucie as today’s guest. He is a former aviation accident investigator and aviation safety inspector. David has also written books about the Malaysian Airlines Flight 370 and on airline safety. He sits down to talk to Jason about why he thinks the MH370 plane went down, known problems in aircraft safety, coverups, and much more on the Holistic Survival show. 2:30 – What really happened to the MH370 flight? 6:50 – Why can you turn the transponder off? Why is that an option? David explains. 9:55 – What really happened with TWA800? 11:40 – David talks about coverups he uncovered during the MH370 investigation. 16:10 – After the French government found Air France 447, they released a report of the things airplanes need to have in order to find planes faster. 19:15 – Countries often turn to the FAA and the NTSB for aircraft safety advice. 21:45 – Final thoughts? David says be aware of your surroundings when on an aircraft and alert airline crew if something doesn’t feel right. 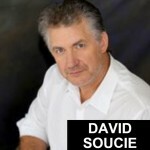 It’s my pleasure to welcome David Soucie to the show. He is a safety analysis for CNN and former aviation safety inspector and accident investigator for the Federal Aviation Administration. He is author of the new book, Malaysia Airlines Flight 370: Why it Disappeared –and Why It’s Only a Matter of Time Before This Happens Again. He’s also author of Safer Skies:An Accident Investigator on Why Planes Crash and the State of Aviation Safety. David, welcome, how are you? I’m fantastic, thanks for having me on the show. Fantastic topic, I have not done a show on this, so what happened with flight 370. Boy, that’s a general subject. I wish I could answer that question to be honest with you. It’s the multimillion dollar question, isn’t it? People always ask me that question and say, “How can you write a book when you don’t know where the airplane is?” Well, I think what prompted the book is just the idea that the families I spoke with, Sarah Bajc, whose partner Philip Wood was on the aircraft. I said, “You know, should I write this book? What do you think?” And she said, really we need to know. The families, loved ones, and even the public needs to know the difference between the facts and the differences between the theories and speculation. So, that’s what I tried to do and come up with what I felt was the most probable theory just based on the few facts that we do have. Okay, so what is the most probable theory? I’m dying to know. Well, right now I took these 125 valid facts that I had or validated clues and those assumption were put into a matrix I’ve used for over 20 years on accident investigations, weighed them against each other, what the predominant theory was, I’ll be it it wasn’t that much different than the second theory, which I’ll also touch on, but the predominant theory is there was a mechanical failure on board the aircraft, which instituted a fire in the area of electronics equipment bay, which would explain of the radios going out almost simultaneously. Yes, the transponder, the communications and reporting system, the Acars system, the ADS, the ADSB system. Anything to do with communications or gather information to send is all in this same rack within about 37 inches of each other. Aren’t there just loads of back up systems for this kind of stuff? An alternate routes and things? There are. I mean, flying an aircraft with triple redundancy. Unfortunately the triple redundancy was all in that same area. So, you may have two radios, but there are sitting right next to each other. Oh my gosh, that doesn’t seem very smart. Well, systematically, it made sense, because on paper it looks like they’re separate, they’re totally powered different, everything is separate, but when you put them all together on the same rank, you’re right. It kind of doesn’t make a lot of sense, but indeed that is the way it was, they’re all on the left side of the aircraft, which is believe it or not, right above where the oxygen tanks overload, depending on which model it was or which serial number it was above or below oxygen tank right near the rest of the radios. This aircraft at a previous event in which the electrical wiring on it had shorted out and caused a fire in the Egypt Air accident, lucky that was on the ground, there were no fatalities from it, but looking at those previous accidents and comparing them to this one, it seems pretty parallel in a couple of ways, which would have depressurized the aircraft, so the rest of the story goes on from there, but basically that’s the initial cause that we can tell or most likely one. Here’s the thing that’s going on in your world, I guess, and it is that, you know, the FAA, and people like yourself have already encountered and you have so much experience in all these different types of crashes and you already sort of eliminated so many of the broad ways that these accidents can happen. Now, when an accident happens, it’s just really hard to figure out sometimes, because you’ve eliminated so many possibilities with the vast experiences of, you know, over 100 years aviation, right? That’s a very astute observation, it really is, and one that we study a lot. I mean, human factors the arena, when is it that safety gets in the way of safety is really the question, because you can continually get safer and safer and more complex and respond, but at some point you start stepping on yourself. You start causing more trouble than you safe by trying to dial the caliper in on so few accidents and so few problems, that at what point do you say, you know, we’ve done enough. Well, what I’ve tried to do with my experience with the FAA is to change the paradigm and to stop looking at the deaths, the number of deaths as the measure of success, because it truly isn’t. It’s the potential of failure that is the measure, truly. The small things, the things that are indicative of a future failure. So, what I like to refer to it as going from diagnosed, looking back the failures and the deaths and figuring out what happened in the past and using that to help the future. Rather than that, we can prognosticate, it’s more of a prognostication of saying, well, if we continue as we do now, if these systems continue to operate the way they do, what is likely to happen in the future? That way we can stop the next accident before it happens instead of waiting for accident to tell us what we need to do next. I remember seeing these stories about how, you know, maybe terrorists essentially stole the plane in mid area. I just couldn’t believe, David, that you would even able to turn the transponder off. I mean, why should that even be an option? Shouldn’t that be hardwired, always on, especially in a big commercial jet, you know, that was in the same rack too, right? I mean, everything is there. Yeah, it is. It’s kind of, I think, the argument to that is the pilot needs to be able do what we call load shed or load share and what that means is that if power goes out on bus of power, and that power is the essential bus, the essential things that need to be there for the aircraft to fly, that does not include communications necessarily. It might just be it has to fly. The engines have to keep running, the control systems have to function, the breaks need to work, the landing gear needs to go up and down. All these essential functions of literally flying the aircraft and then second to that of course is communications and navigation, so there’s a lot that goes in to designing these bus, so that they can be load shed. So, that’s the argument about why they can’t just, you know, make it be on all the time, because it’s drawing juice and it just isn’t particular. There are other things that are on all the time unless you go down into the E&E compartment, the electronics and equipment bay, and physically pull the circuit breakers themselves. That’s how sometimes some of these things have to be turned off,but it’s kind of a misnomer to say the transponder was turned off, because we don’t know that. There’s a couple of things that might have happened. If it was in standby mode, which is something that can be done from the cockpit, it still had power, but it could be in standby mode. There’s other things that would have done it. You can simply just change the challenging to a different station basically, traffic control is not going to be looking for that squawk ID, so I wouldn’t associate that ID with your aircraft. Interesting, so where are we in the world flight safety. I mean, can this happen again? This is such a crazy scenario, the other one I guess is really, you know, TWA flight 800, that one, that’s still a mystery isn’t it? Not to me, it’s not. I had an investigator friend that was up there on flight 800 and he went up there and did the investigation, the FBI, he was an NTSB investigator, Norm Weimeyer, and he was up there and taking notes, his note book was literally torn from his cold hands, you know, the FBI took it over and that was really created a lot of consternation and a lot of speculation as to whether it was just being hide. There was something secretive about what had happened. So, was it a missile or the Islamic pilot or what was it? No, I do hold that the findings were true. It was actually a center fuel tank had created a capacitance, because it was empty, completely empty, and it had been for a long time and the fuel pumps continued to operate creating a heat in there and then there’s a kapton, I’m not sure if it was called kapton wire, but there was a type of wire that was susceptible to a capacitance load to be build up this capacitance load and when that load discharged is when it actually exploded that tank from the fumes that were in. Could that happen again or has that problem been solved now? These guys are no dummies, these are the guys that actually do satellite work for a living and they validated most of what was coming out of the Immarsat data that they had and they made some adjustments based on what they have found, but as far as conspiracies go, that’s the only thing I found was there were some things that were held back, information was held back, and to me, as an investigator, that is lying. That is a coverup. That is secrecy, because everything has to be transparent in an investigation. When you start holding things back, you’re not going to get to the truth. Where are we on flight safety today? With flight safety today, it’s really beyond measure. The safety that we enjoy particularly in the United States is so high, you know, you’re safer, you probably heard this before, but you’re safer in an airplane than you would be driving in your car and that is true, statistically. Well, there’s all kinds of ways to dice that one up. I always find those kind of stats sort of funny, because is it safer by miles traveled, is it, you know, I’m not denying it, but that requires quite a bit of detail. Of course it does and I rarely throw statistics out like that, but my point is that that it is a safe system. I’m not sitting here saying, gee, I don’t expect that me saying it’s a safe system is going to affect one person’s fear or not, you know, so I beg each person to their own research and to learn as much as they can. Again, the book Safer Skies, my mother said, “You wrote a book about crashing airplanes. I don’t want to read it, I can’t, I’m afraid to fly already.” And she said, “But since you’re my son, I’ll read it.” So she did and she’s fairly comfortable with flying now. It’s more about understanding and learning how many people have devoted their lives to making it safe to fly and that’s what I choose to focus on. Yeah, definitely. It is pretty darn safe that’s for sure. Where do we go from here? I mean, what’s next for the FAA? I know they came out recently with some laws on drone planes, are we ever going to get the flying car we saw in the Jetsons? There are some companies working on it. I think Samsung motor is doing it. Absolutely. Honda motor cars is working on one. I know there are some very big names behind some flying cars, but it just comes down to physics, honestly, on the flying car, because it takes a lot more energy to fly than it does to roll and that’s really why that’s held up. Boy, am I mad about that too. I’m 56 years old and was promised a flying car by now and I’m mad about it, but at the very least, Back to the Future, one of those..
You’re going to have a self-driving car pretty soon, though. Well, that’s true and that is really spectacular. That’s wonderful. I still don’t think I’m going to have that hover board that they had in Back to the Future movie, because that was 2015 that he went to the future, did you know that? Yep, I know, I know. So, you know, just want else do you want us to know? Like, tell us, you know, some of the maybe any dirty laundry, what are some of the flaws in the aviation industry? I’ll tell ya, this is what the book is really about. I tried to transcend the actual, you know, what happened on board, because no one really can conclusively say, this is what happened on board. I can tell you what is most probable, but that doesn’t mean anything when you actually do it. Once we get the black box, I could be completely wrong, who knows, but the point of the book is to transcend that and say, maybe, just maybe, there’s a systemic problem. Maybe there’s something wrong with how we get the safety equipment on board the aircraft, because looking at Air France 447, when was that, four or five years ago, and after that accident, we searched for those black boxes for two years. Those poor families and loved ones, those victims on that airplane waited two years to get a conclusive answer as to what really happened to that airplane. Can you imagine that pain and suffering in that? I couldn’t. Now, here we are a year later from now, but those recommendations that came from the French government, from the French Civil Aviation authorities said conclusively, we need to have streaming data information so we know where these airplanes are at all times, we also need to have emergency locating transmitters that don’t quit when they get wet and that’s what these do. They don’t work when they’re in the water and every transoceanic ship right now has those on them and within minutes, sometimes seconds, they can pin point exactly where that ship would have gone down and have search and rescue there almost immediately. If there’s survivors on an airplane crash, we don’t have a hope at all of finding survivors before they’ve reached their perishable state. So, it’s a scary time right now and the problem is that our international government is not capable from what I can see of actually getting these regulations passed to say, look, we want to maintain worldwide safety now. The FAA has done it since 1948, why can’t we start doing it on the international level. We need to have enforcement capabilities and some maybe accident investigation capabilities with ICAO, International Civil Aviation Organization. I mean, the FAA does exert a lot of power way outside of US boarders, doesn’t it? How does that all work? Especially with the TSA component of it too. It’s funny, because I’ve been to 74 countries and some countries, you just, you breeze right through security on an international flight and some you do not. You know? So, it’s all over the boarder. That’s right. Do you have a world map on your wall with all the pins in it? No, I don’t have one of those. It would be a virtual one. I think it’s on TripAdvisor. There you go. Well, yeah, the FAA doesn’t. I’ve been with the FAA for 17 full years and the last five or six of which were in Washington, DC with the policy markers and budget watchers and all of that. It was really an education for me to learn that the FAA has always been a world leader with aviation safety. All the way back, like I mentioned, 1948 is when we started as a civil aviation board, civil aviation authority, and then ultimately the federal aviation, but it’s kind of established the baseline by which all other countries work. Part of my job in 2004 and 2005 was to work with the Chinese government to help advance their aviation regulations and other countries. They also came over and tried to say, hey, how do we do this? Some countries had trouble with it. There was some African nation countries that had come in and they said, hey, we’re just going to rubber stamp, we’re going to take your rags and plug them into ours, and it’s a dynamic thing. You can’t just do that. You have to actually have it regulation kind of evolve by themselves as well, so I think that’s where the FAA kind of comes in. When you have something that traumatic that happens to your country and you are leader in that country, you look to the people who know what they’re doing and the FAA and the NTSB are certainty those people. Why did you say a few minutes ago when you talked about your friend who investigation TWA flight 800 and his note book was taken out of his hand by the FBI. What did that mean? I wasn’t sure I understood what you were saying when you said that. Well, there’s two types of investigation. There are criminal investigations..
Because that sounds to me like coverup. It does, absolutely, and that’s what started all of this, was that problem. What we need to understand about the process though is that if there’s a criminal intent or if there’s a threat to security, to the security of the nation, then that’s a different kind of investigation and the FAA, I’ve actually be held off of investigations because of that where, you know, it’s a matter of jurisdiction and authority. If you are a local cop for example and you come across someone who has died and it turns into a murder, they bring in a different team for that. You don’t get to run that the way you want. There’s jurisdictions with these things and that’s the case here. The FAA has jurisdiction and until such time it has become criminal or it becomes an international event and that’s indeed what happened here. They were suspecting that there was this type of thing, so the way they secured information, the way they secured data, all of that is very different than the way FAA does. We choose to be a little bit more transparent about the things that we find or learn on site and the NTSB as well. Very interesting. Give out your website and tell people where they can get the book. Well, I have a website. It’s kind of in development at this point, it’s a little bit overwhelmed by how many accidents so it’s not completely up to date, but I’m working on it right now. So, it’s www.WhyPlanesCrash.com and that’s where you can go and find out what my schedule is, who I’ll be talking with, and where I’m going. It also will have a blog on there and I’ll try and blog that, but the best way to track what I’m talking about or what other people are discussing with me is on Twitter and that’s just @David_Soucie. That’s a French name. Good stuff. So, WhyPlanesCrash.com and David, final thought that you want to share with the listeners? Well, one of the things I always like to end with is the fact that people, we really all should be more vigilant about understanding we’re part of the safety system in the air travel. A lot of people don’t understand that or know that, but there’s many, many cases of anomalies that go on whether it’s a little bit of smoke in the cockpit, there’s something loose, there’s something not right, it doesn’t sound right, it doesn’t feel right, it doesn’t smell right, those kinds of things are brought to the attention of the crew and they can save lives. You can really save lives and it’s not only save your own life, but it’s the responsibility as passengers on these airplanes and you owe it to your fellow passengers to make sure you stay aware and stay alert on these airplanes. Good stuff. Well, thank you for sharing this with us David Soucie, appreciate you joining us.